Jessica has been representing individuals and corporations in all types of immigration matters, including nonimmigrant visas, immigrant visas, PERM Applications, EB-5 Investor Visas, as well as family–based cases and naturalization. Jessica has lectured on business immigration topics at numerous conferences and seminars including the Philadelphia Bar Association’s Bench Bar & Annual Conference and the Pennsylvania Bar Institute. In addition, Jessica has co-authored articles pertaining to business immigration law including, “Foreign Worker-Related Issues to Spot Before Commencing a PERM Case”, and has been published extensively in Korean daily newspapers in the Philadelphia area. 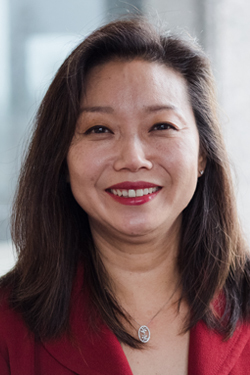 She has served as the Chair of the American Immigration Lawyers Association’s Philadelphia Chapter, and previously served as the Vice Chair, Treasurer, Secretary, New Members Division Chair, Annual CLE Conference Co-Chair, and CLE Liaison. Prior to entering the legal field as an attorney, Jessica gained legal experience interning at the United States Equal Employment Opportunity Commission in Honolulu, Hawaii, as well as at various law firms in Hawaii and New York. In addition, Jessica worked as the Executive Assistant to the Korean Ambassador to the United Nations before attending law school. Furthermore, while completing her J.D., she assisted the International Student Advisors at the University of Hawaii at the International Student Services Office. Jessica received her J.D. from the William S. Richardson School of Law of the University of Hawaii in 2005, where she was the Editor-in-Chief of the Asian-Pacific Law & Policy Journal, and received her Bachelor of Arts degree from the University of Pennsylvania. Jessica is fluent in Korean.